Hassle free collection at Chinatown branch. Fast delivery. Not try yet. This is good as a side dish. Easy collection and taste good. Taste good and easy to heat up in air fryer. Prompt delivery. Yet to try. Portion is very small. Helpful staff. Haven't tried the rolls. My second purchase for the 五香 and 排骨王. Very nice and it’s good to keep in fridge for any last minute top up. Collected at Smith Street and staff was very friendly and efficient. I would always keep a packet in my freezer when i need a side dish. Nice flavour...just fry and serve...easy cooking. Good taste. Self collection is easy n fast. Hi, can I toast it in the toaster oven? hi seller, does the prawn roll contain pork or lard? tks..
Hello, the prawn roll does contain pork or lard. Can item be collected at Chinatown store? Hi, yes item can be collected at chinatown. Why is there shipping charge when I select store pickup? Hi, If you select store pick up, there shouldn't be any shipping charges. 1) Is the item I collected, correct as per photo attached ??? 2) Does it weight 500gm ??? I hav purchased prawn roll from other company, a packet of 500gm has abt 25pcs. Hi, the item weighs 300gm with 12 pcs inside. Based on your item page it shown 500gm (photo attached). Why the 200gm diff. ??? Hi. 500gm is the weight of the ingredients before cooking as indicated in the photo note. Thus after cooking , the weight will be different. To prevent any further misunderstanding, we have already inform Q10 to make the necessary changes to Net weight: 12 pcs. So sorry about the misunderstanding. cause I still can't accepts that the ingredients weight of 500gm will reduces by 200gm after cooking. Thanks for yr explanation, matter closed ! Hi, Sorry for the misunderstanding. Can I just drop by your chinatown outlet to purchase without ordering online? Will the price be the same as qoo10? Hi, may i know which rice dumpling flavour you are interested in? 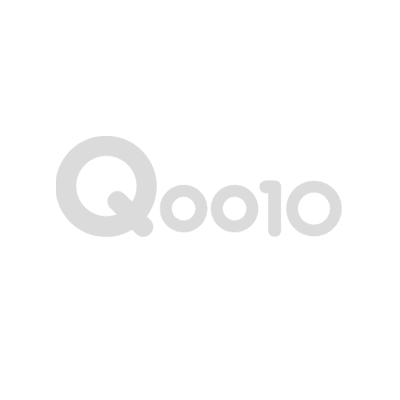 As Q10 prices differ from time to time. Let me check for you. Hello, I chose self collection @ Bishan, but every time when I want to check out & make payment, the total includes $30 delivery charge. before selecting the item details. I have done that : Store pick up., then chose branch. But at the final cost. I still am charged $30 delivery. i have checked with qoo10 and have tried myself, there was no shipping rate charged. you may try clearing the items in your shopping cart first, then try again. thanks. Alternatively, you may purchase at our chinatown/aljunied outlet on the spot. Hi seller can we just show the mobile app during self collection?